I am so glad that I kept on going because this year has just been wonderful! I have met so many great people and went to so many fun sewing and blogging events. 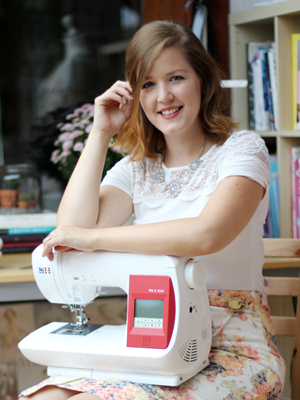 April was a special month as I officially registered the blog as a business so I could start selling my own patterns. The blog keeps growing steadily and sometimes I look back in disbelief – when I started the blog I never thought others (apart from my family) would ever read what I wrote. So here’s my THANK YOU for all you guys out there that pop by this blog regularly, leave lovely comments and contribute to keeping the blog alive and growing! 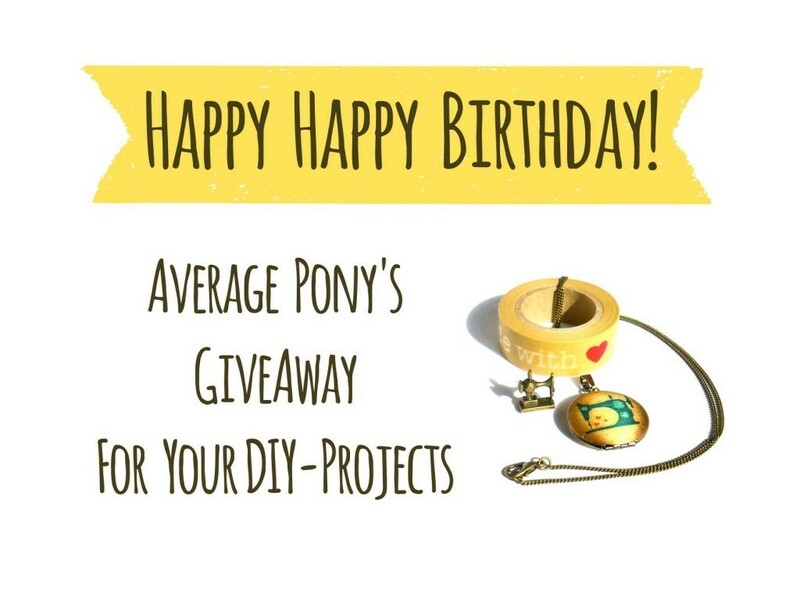 The lovely Maren, mastermind behind Average Pony DIY, decided to throw in some really great goodies! Each bundle will include one roll of washi tape “made with ♥” (Check out more of the gorgeous washi tape she offers in her shop here! 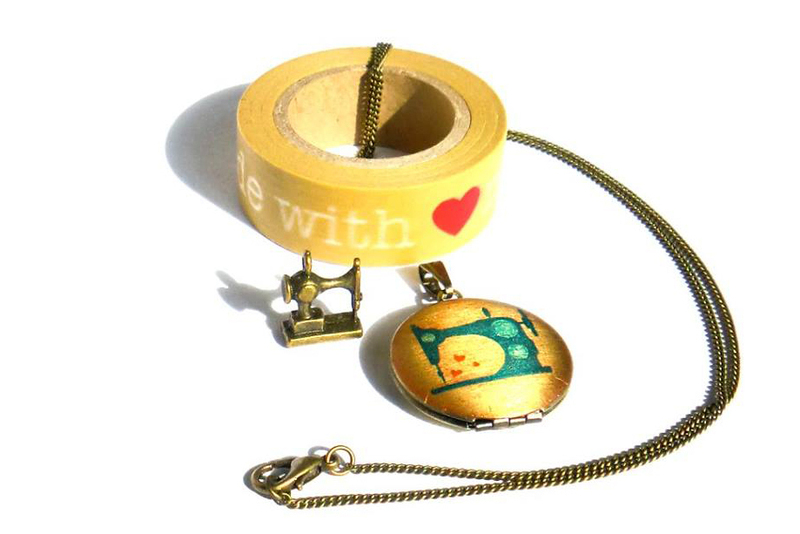 ), a sewing machine charm and a necklace with a sewing machine medallion! Yes! THIS COULD BE YOURS! Btw, if you see something in Average Pony’s shop and you’re not sure about ordering stuff from a German website, feel free to pop her a quick email. For those of you who are keen on reading a German blog, check out averagepony.com. 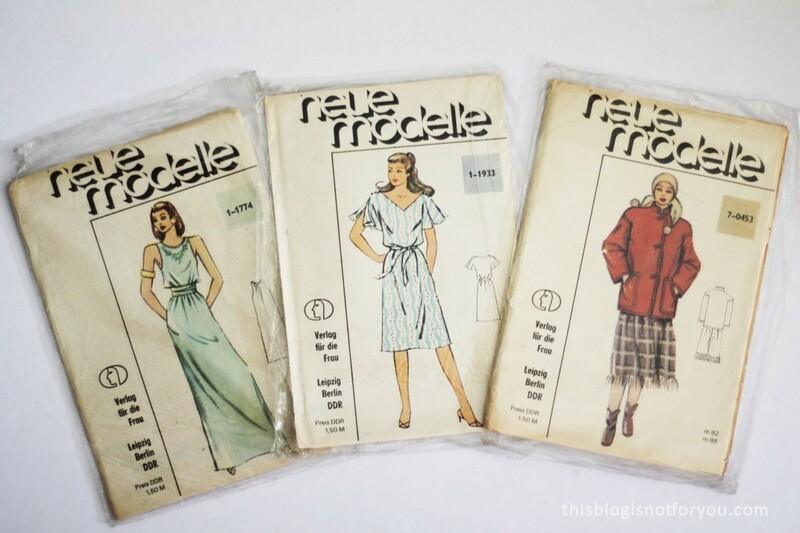 And last but not least I’ll throw in these vintage sewing pattern bundles, consisting of two dress and one jacket pattern each. I got these from the Mr.’s gandma who was a keen seamstress when she was younger. 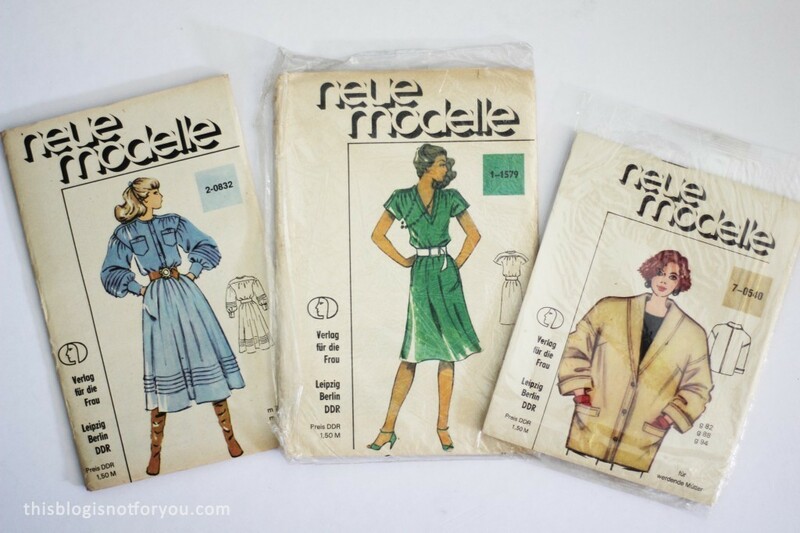 The patterns are quite rare, as they’re from former East Germany/DDR (GDR), published by “Verlag für die Frau” who published the sewing pattern brand “Neue Modelle” mainly in the 1980’s. 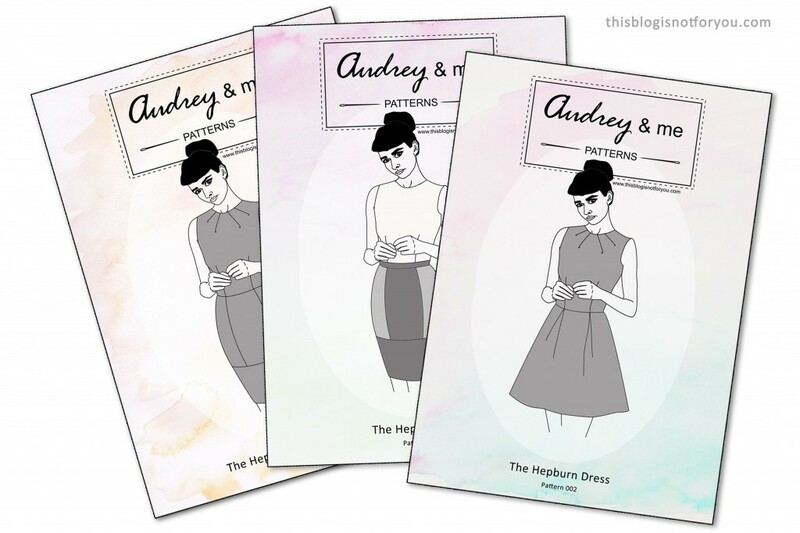 The patterns I picked for you are in their original packaging and uncut and unopened. They’re in German but look easy enough to be tackled by someone who doesn’t know a word German. Let’s have a look! Simple like Average Pony DIY on Facebook and follow Thisblogisnotforyou.com on either Facebook, Bloglovin’, Twitter or Instagram or become an email follower (see sidebar). Leave a comment below (make sure you enter the right email address so I am able to contact you!) and state whether you’d prefer pattern bundle A or B. The giveaway is open internationally and closes at midnight (GMT) on Tuesday 30th September. The winners will be announced on this blog (and also will be notified via email) in the following week. THANK YOU ALL & GOOD LUCK! Please note: I will randomly select two winners from all comments posted before midnight on 30th September 2014 and the two winners will receive the prize described above. There is no cash alternative, and your prize is non-negotiable, and not refundable. If the prize isn’t claimed within one week of the winner being notified, I will randomly select another winner. Congratulations on two years – I keep contemplating starting a blog but I just know I wouldn’t have the perseverance. I am a bit of a lurker but I do very much enjoy your blog. I would love pattern bundle A if I am lucky enough. No matter – I will continue reading your blog hopefully for many years to come! Happy blog birthday! I think I’m two in a few months as well… The years have rather flown by, in fact, not sure how 24 months of blog posting has gone so quickly! Happy Blogiversary and thanks for the giveaway, what a lovely selection of goodies in the bundle! 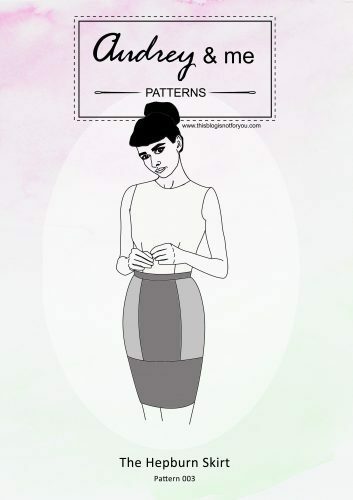 I’d be very excited to have a go at your very chic patterns, and if I were a winner I’d go for Vintage Pattern Selection B. Thanks for the giveaway – either bundle would be great. Happy 2 year anniversary!!! I have just recently discovered your blog and loved reading through each entry. I have just started sewing again after a long hiatus and being forced to sew my daughter’s wedding dress. So much for going and watching her try dresses on. LOL. Blogs like yours are such an inspiration, I am very grateful you didn’t quit! Congrats on achieving two years mark! If I won, I would like no.1. Congratulations! I would prefer bundle B, thank you very much. Hi, Congratulations on two years – I’ve only been going for two months and yours was one of the blogs which inspired me to have a go myself so thank you for that. If selected either bundle would be lovely. I admire your dedication to your blog, the diversity of the creativity in it congrats for the annyversery and the new pattern company! Happy anniversary Charlie. It has been great following along as you’ve grown your blog, and of course, launched your patterns. Great giveaway too! 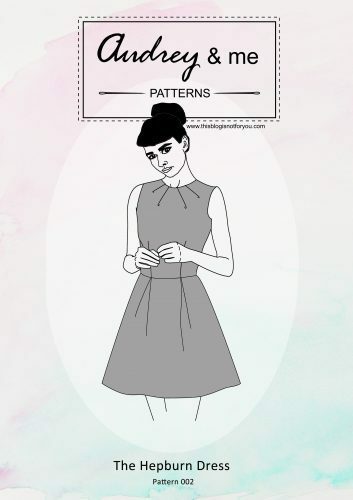 I have recently discovered your blog and really enjoy it, I have also purchased the Hepburn dress pattern and can’t wait to make it. I would love to win the giveaway, particularly Bundle B. Following both! 🙂 Thanks for the intro to the Average Pony too! 🙂 I’d choose bundle B. Thanks for the chance. The patterns are so cute. I think it will tempt me to take out my sewing machine. I like Average Pony DIY on Facebook (Piroska B…). I follow you on Bloglovin (Pippirose). Wow! Congratulations on your blogging anniversary! I understand the ‘lack of time’ problem completely! I’d love to win either bundle. Your offerings are fabulous! That little sewing machine is so cute! Congratulations! I love reading your blog, so hopefully you’ll have many more years to come! And what an awesome giveaway! The patterns in bundle B look amazing! I would choose pattern bundle B because I like the maxi dress in it. Happy Anniversary! I would be happy with either bundle. My preference would be Bundle A. Thank you for the chance to win! I would love to win bundle B! Hi. I have just discovered your blog through seeing your Hepburn dress which is a style of pattern I have been searching for. Thanks! Would love to win either bundle! Following Average Pony DIY on FB and you on Twitter :). Such a hard decision between the two bundles! I think I’m leaning towards A. Follow both of you on facebook. 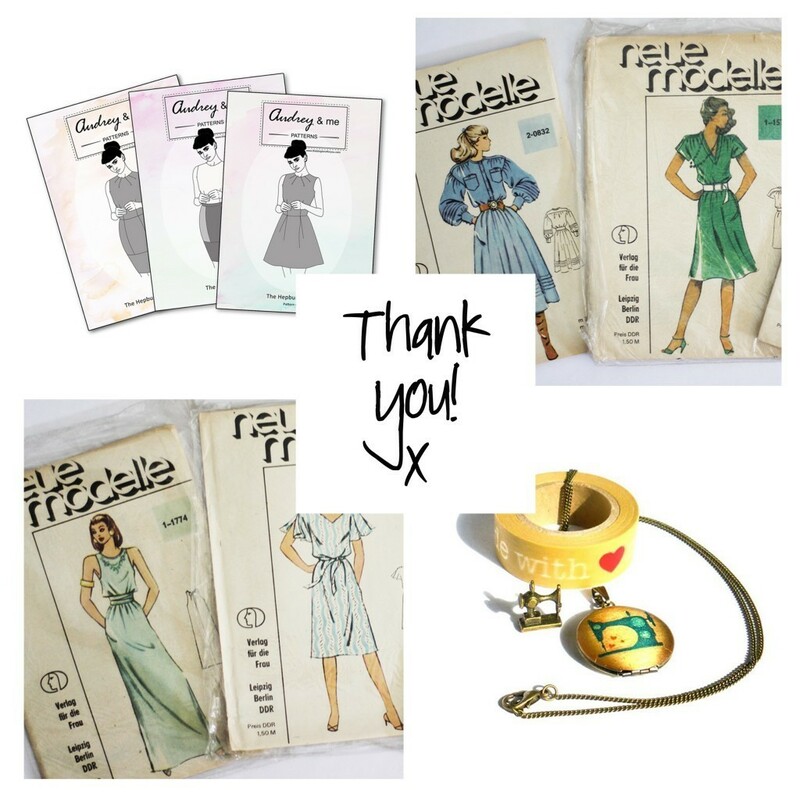 Love the pattern collection B and love the sewing machine charm. Liked on facebook and I follow via bloglovin (Chiaralps). I’d like the collection B, but both are awesome.